CONVENIENT 2-IN-1 DESIGN - Mount to your windshield or your dashboard vent for convenience - installs in just seconds with no tools required! Why pay the same price for a product that can only mount to one or the other? 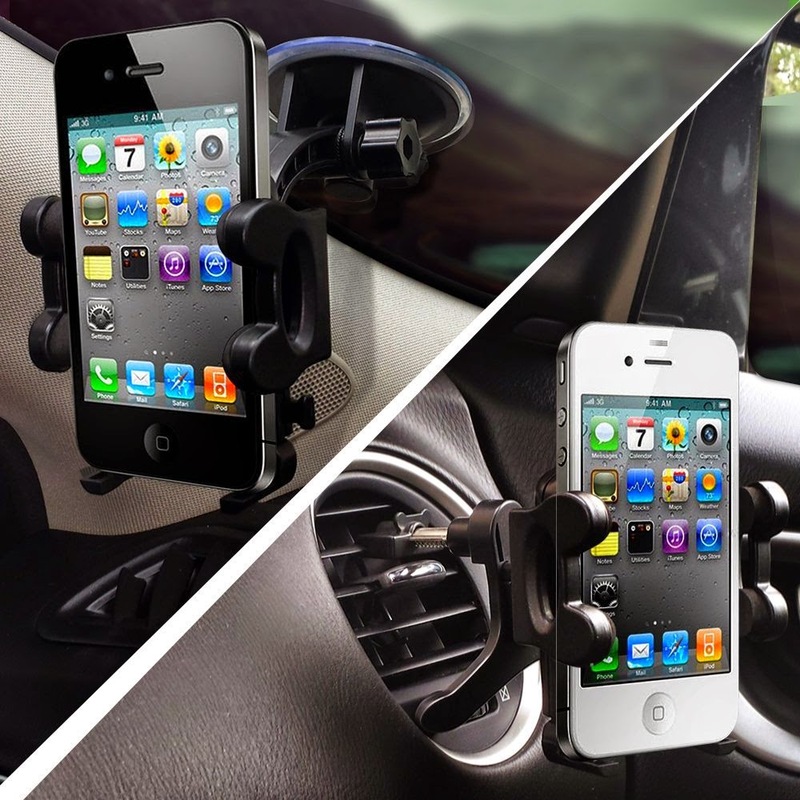 Choose our 2-in-1 mount for the highest quality adjustable cell phone car mount that let's you decide where to mount it! KEEP YOUR SMARTPHONE HANDY - No digging it out of your pocket or purse or dropping it on the car floor. Sturdy construction and padded grips keeps your phone where you want it! FITS VIRTUALLY ALL DEVICES - The adjustable grip accommodates smartphones and GPS devices from 1.5" to 4.3" wide. Simply select the perfect width for your device and lock it in place. Then simply pop your phone in and out of the mount in less than second every time! No need to ever re-adjust or tighten! Full instructional video included so you won't have any problems installing the mount! 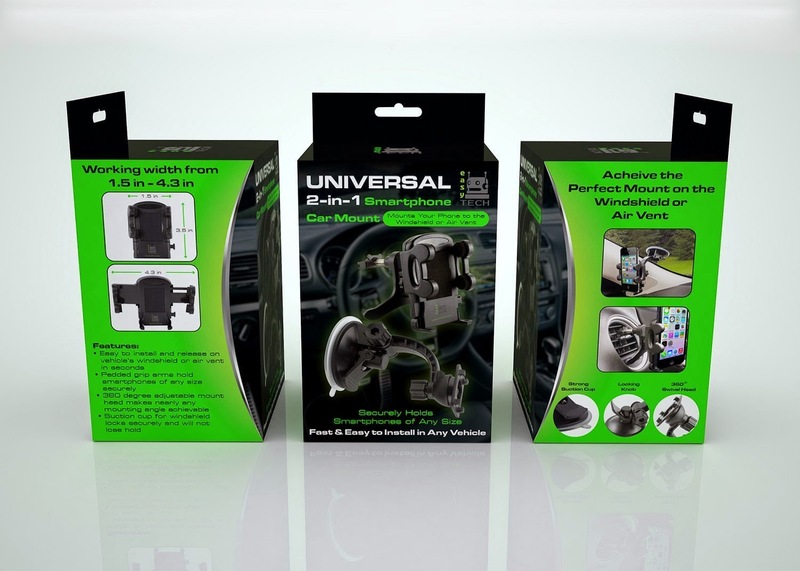 360-DEGREE SWIVEL FOR EASY VIEWING - The adjustable swivel lets you position your phone or GPS exactly where you want it, making hands-free operation easy! Doesn't matter what kind of vehicle you need this installed in, you'll get a perfect fit every time! 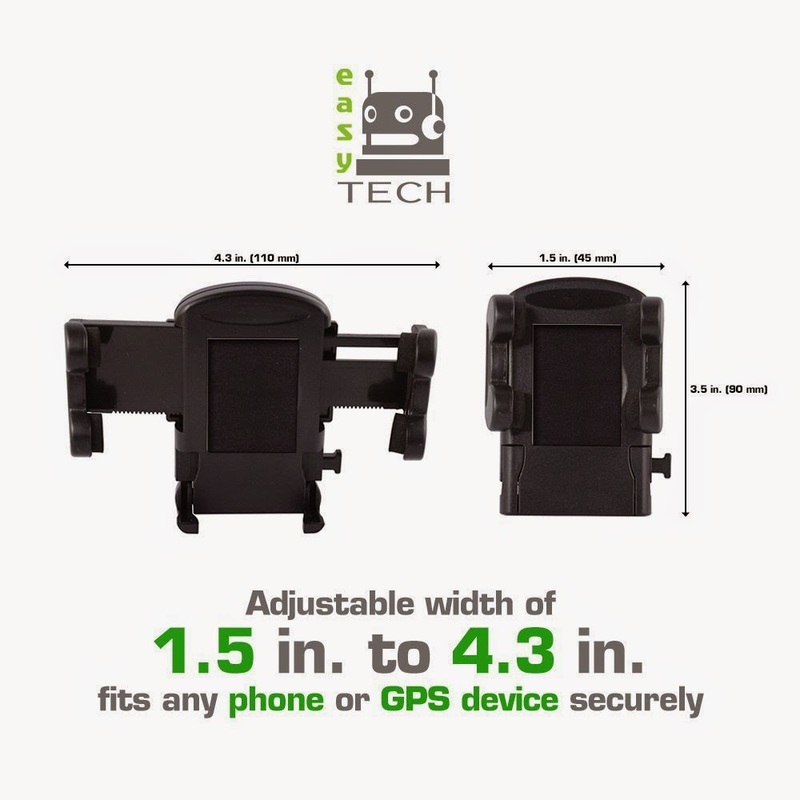 MANUFACTURER'S 2-YEAR Warranty - You'll love how this adjustable mount keeps your smartphone or GPS firmly in place. But if for any reason you decide it's not for you, Easy-Tech will refund you 100% of your money within 2 years from the date of purchase! 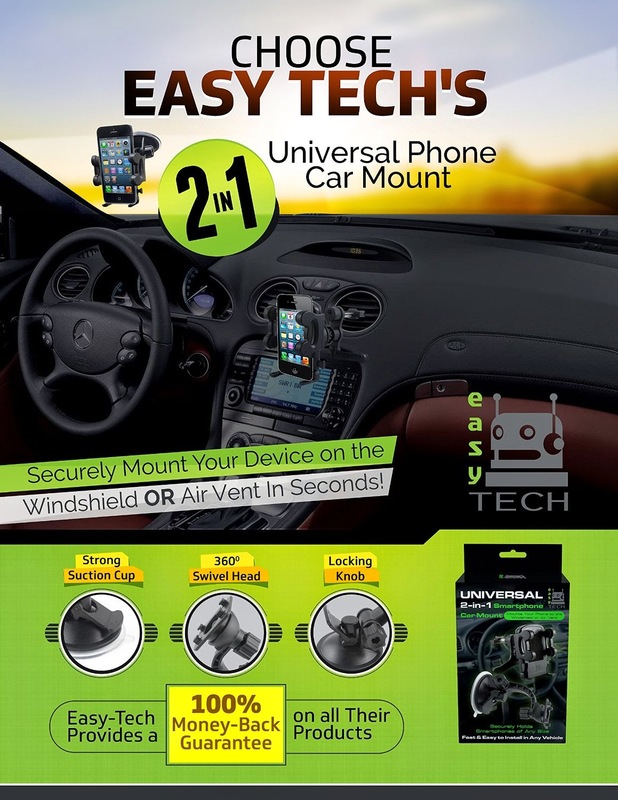 I was excited to get to try the 2 -in- 1 Mobile Phone Car Mount from Easy-Tech. I had been looking for a car mount for my phone for awhile so I thought I would give this one a try. I tried it out first not attached to my car, to make sure my phone was secure and would not fall out and break. I was impressed with how well this car mount held on to my iPhone. I like how you can adjust the angles and can be attached 2 ways. I like this so that I can have my iPhone handy and use hands free as well as see my GPS when I am traveling without having to hold my phone or be distracted looking for directions. I like how secure my phone fits into the device and how secure it fits in my car. 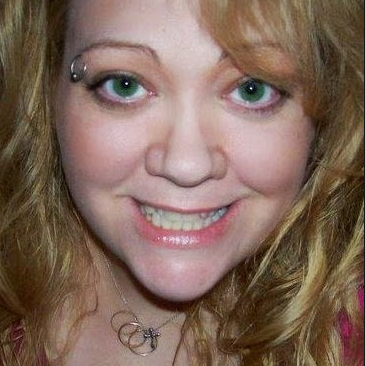 This one is a keeper! 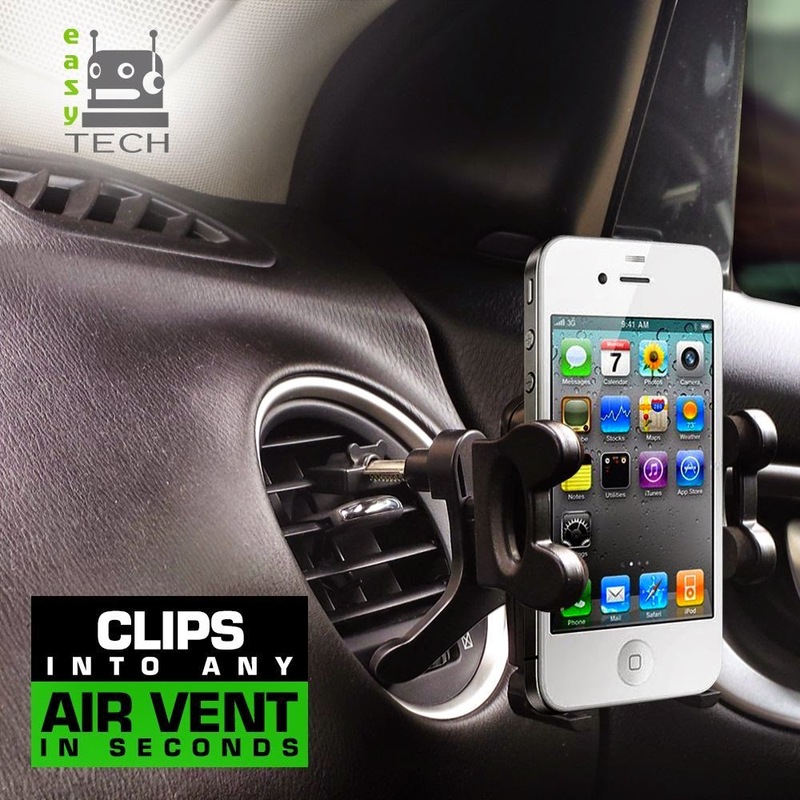 I recommend this mobile phone car mount. This vent mount looks a lot more stable than then one I am using currently. I have been told that it is safer to have the GPS on the left side of the driver rather than the right side (middle of the car). 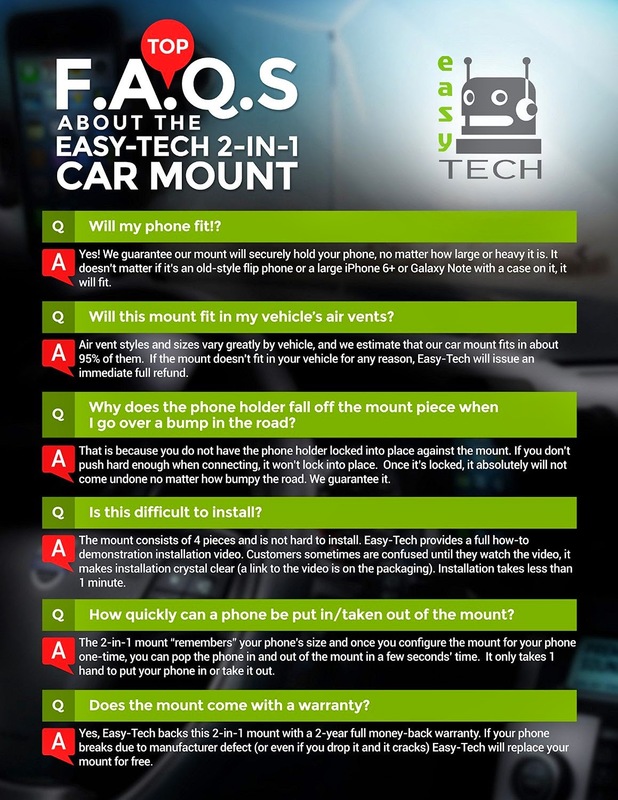 The 2-in-1 Mobile Phone Car Mount by Easy-Tech looks like it would be a better tool for the job. 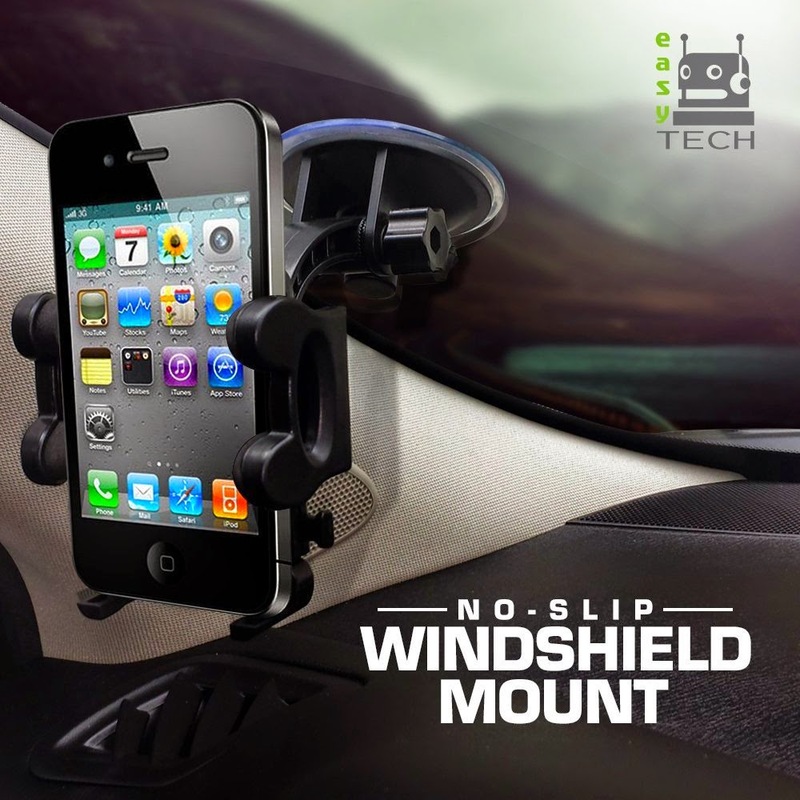 Really a nice images of the car mount which is generally used by most of the people while they are driving so cell phone holder is the device which provides this facility. You can see some new and latest cell phone holder for iPhone se wallet Case. These days your smartphone is also used for navigation device, The car mounts eradicates the hassle to place the phone and use it while driving, I am having some best car mount, go to this site review of it.